For those who support net neutrality, 2017 has been a tough year. Earlier this year, the Federal Communications Commission (FCC) proposed a massive repeal of net neutrality laws, a repeal the commission approved in a 3-2 vote on December 14. It was a long road to this point. Before the repeal, the internet was regulated as a public utility under the Title II provision, meaning that Internet Service Providers (ISPs) were legally bound to keep the internet open and give all internet traffic equal priority. Title II regulation came about in 2015, during Barack Obama’s presidency and with a Democratic majority at the FCC. At the time the laws were put into place, the fear was that ISPs could eventually start using their power to create so-called “internet fast-lanes” to prioritize certain internet traffic, though they weren’t doing that just yet. Now, with those laws having been repealed, ISPs are free to prioritize internet traffic based on which content providers pay them the most as well as throttle traffic that could be seen as competitive to their causes and even charge customers extra to access certain parts of the internet. That’s because the internet is now classified under Title I, which shifts regulatory power to the Federal Trade Commission and allows for what current FCC Chairman Ajit Pai calls a “light-touch regulatory framework,” whereby ISPs aren’t required to report back as much, and are much less scrutinized. This is good news for ISPs, who stand to gain a ton of money from the repeal. It’s bad news, however, for consumers, who may soon be limited in their access to the internet. Additionally, small businesses also stand to lose as these may not be able to pay ISPs to prioritize traffic to their websites. After a tumultuous 2017, it’s now time to turn to 2018. What will the fight for net neutrality bring next year? Well, we can’t tell the future, but we can say that the battle for the open internet is far from over. The first volley is something that we’ve already started seeing – lawsuits, and lots of them. These lawsuits will come from all directions: states, advocacy groups, companies and so on. First up are states. New York State Attorney General Eric Schneiderman has saidthat he will lead a multi-state lawsuit to prevent the repeal from happening. Why? Well, Schneiderman conducted his own research, and found that millions of public comments made during the FCC’s open discussion period came from stolen identities, which Schneiderman argues has corrupted the repeal process. Other states, including Pennsylvania, will join the effort, and they’ll likely file lawsuits after the rules become official, which could happen later in January. Net neutrality is the principle that Internet Service Providers (ISPs) should treat all internet traffic equally. That means ISPs shouldn’t block, throttle or otherwise inhibit traffic to any website or application, and shouldn’t play favorites if content providers pay for access. State efforts could be effective. Under Title II, the FCC had significant power over internet regulation, but by reclassifying the internet under Title I, that power has been diminished. States could now assume power themselves and create their own laws for an open internet – though that’s something the FCC will almost certainly fight. States aren’t the only bodies set to go after the FCC. Pro-neutrality groups, like the Internet Association, which represents internet giants such as Google, Facebook and Amazon, are also weighing their legal options against the repeal, though they have yet to formally announce any action. There are a few arguments that lawyers could make against the FCC, but the most prominent will likely be that it acted capriciously in repealing Title II classification of the internet. Under the Administrative Procedure Act, regulations that are “arbitrary and capricious” are prohibited. That may be a phrase you hear a lot as legal challenges mount. With the net neutrality laws repealed, ISPs have much more control over the internet. Yet, these companies probably won’t act on that control just yet. In other words, if they do intend to take full advantage of the repeal to make more money, they’ll do it slowly and subtly. Why? For starters, net neutrality is a hot topic and ISPs are being closely watched. Any drastic move against an open internet will certainly make headlines, and that could end up costing ISPs millions. Not only that, but the FCC is set to face some significant legal challenges, and ISPs are in the FCC’s court in this case. Making a big move that could be used against them would be risky. Another reason ISPs won’t act just yet is that doing so would be expensive. Instituting internet fast lanes will be costly to ISPs, and when there’s a chance legal challenges may prevent the regulatory repeal from happening in the first place, it’s unlikely ISPs will find investing that money worth it. 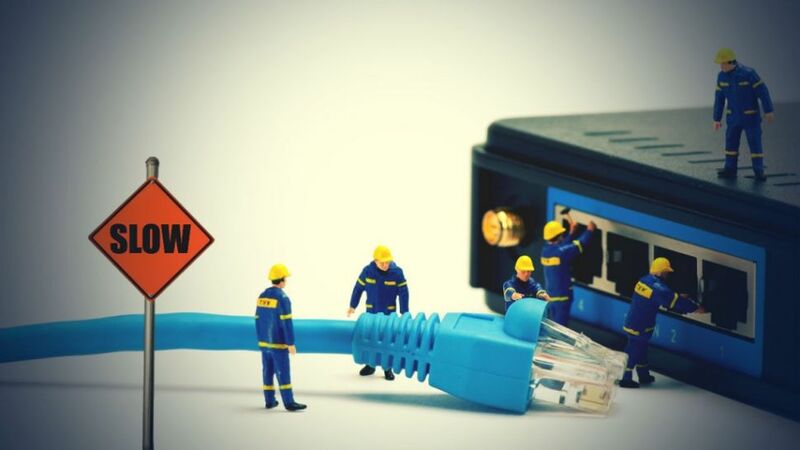 While ISPs won’t enact internet fast lanes yet, they may still make some changes. For starters, we’ll likely see more zero-rating schemes in which carriers offer access to their and their partners services without it counting against a user’s data or monthly rate. As noted in a report from TechCrunch, ISPs could also start expanding their networks under the guise that they’re now free to innovate under the new regulatory laws. It will likely often turn out that those expansions were planned in advance or had nothing to do with the reclassification of the internet. Ultimately, it could be Congress that decides whether or not the internet is reclassified. In the end, the FCC’s power is derived from congressional laws, and Congress could use the Congressional Review Act against the FCC. That act essentially allows Congress to undo recent regulation. The ultimate win for net neutrality supporters would be an amendment to the Telecommunications Act, in which the internet is unambiguously classified under Title II. That, however, is unlikely to be attempted when the Democratic party is the minority. It may take a Democratic president before the Democratic party starts entertaining an amendment to the act. Why? If Congress does resolve that the FCC cannot repeal Title II classification, President Donald Trump could very easily veto that decision. If that happened, net neutrality supporters would need two-thirds of the House to overturn Trump’s veto. Still, that doesn’t mean Congress won’t act at all. Already, 26 Senators have voiced support of legislation to undo the FCC’s repeal, and it’s very likely more will join the cause. Of course, supporters are largely Democrats, and at least a handful of Republicans will be needed to support blocking the FCC in order for it to pass. Congressional action could have other significant impacts. 2018 is an election year, so many will want members of Congress to go on record either supporting Title II classification of the internet or not. That could, after all, influence votes, and with net neutrality a hot-button issue, it could influence a lot of votes. Right now, there’s little consumers can do except keep watching ISPs, voice support for net neutrality to their representatives, and stay educated. It will likely be a long battle for an open internet, and while it looks like those in support of it are losing right now, that could change quickly. VPNs can actually allow you to get around net neutrality controls set by ISPs. Here is a list of the best VPN providers we’ve tested.